The Frontier Lodge, located near the world’s largest Hot Springs Pool and the Fairy Caves also have magnificent views of Mount Sopris! 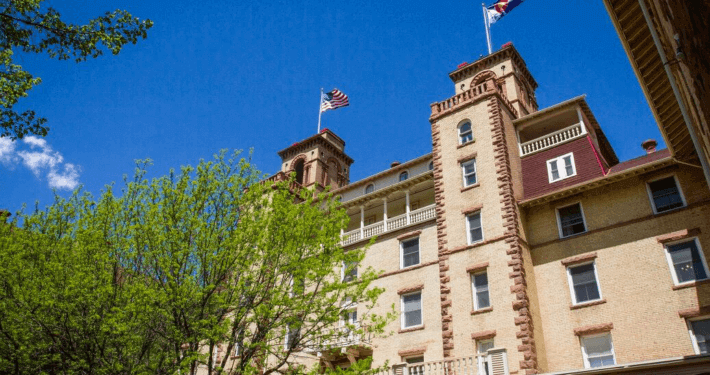 A convenient location to downtown Glenwood Springs, the Frontier Lodge offers rooms with one, two, or three queen-sized beds 100% smoke-free. Comfortable and clean, all rooms come with satellite TV with over 100 channels, including the NFL Network and CBS College Sports Network as well as high-speed internet access. Breakfast is included with each stay and a complimentary coffee station at the front office all day. Wherever you’re coming from, your stay with the Frontier Lodge will be a pleasant one!